Merlin Power Systems is providing remote-power solutions to oil and gas field operators. Abundant natural gas reserves have been stranded due to the absence of gas-gathering, processing, and marketing infrastructure. By providing leading-edge power generation, battery monitoring, and power management, Merlin has enabled operators to electrify valuable stranded-gas resources. 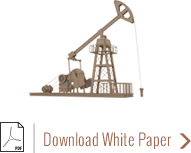 Consider Merlin’s solution for a gas well in northeastern Colorado. Operators had wished to develop a well that had been drilled and perforated but never fracked or produced. While the infrastructure to market the gas did not exist, the wellhead was a half-mile away from electric-transmission lines. By converting the high-BTU wellhead gas directly into electricity, developers would be compensated through the local utility’s net metering program by feeding power into the grid. While electricity can be generated conventionally via a standard engine generator utilizing wellhead gas, Merlin’s power-generation solutions offer several advantages. 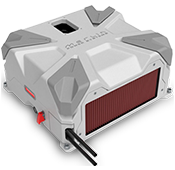 The economic case for Merlin’s Solid Oxide Fuel Cell (SOFC) is that it generates power at higher efficiencies than generators. Quite simply, that translates to more electricity, and more revenue, for the producer. Merlin’s SOFC provides producers, regulatory agencies,and the public several environmental benefits. It eliminates the polluting NOx and SOx emissions associated with standard generators.Its only emissions are carbon dioxide and water vapor; and its greater efficiency reduces the carbon footprint per kilowatt versus any other readily available generation technology. Fuel cells’ environmental benefits are great enough that they are the only technology using fossil fuels that US states commonly include in their renewable-portfolio standards. Merlin’s battery-monitoring and power-management products allow intermittent solar generation to be integrated into the grid. Merlin’s solar tracking arrays maximize efficiency and further Colorado’s renewable goals. Integrated battery monitoring and storage solves the utility’s traditional problems with solar’s peak and off-peak generation. It’s not difficult to see other applications for power generation directly from wellhead gas. Power can be used to run pump jacks or other field operations without extending expensive grid infrastructure to remote locations. Ancillary benefits over existing technology include noise reduction, eliminating the capital expenditure for waste-gas-burning equipment, and reducing maintenance. Furthermore, flaring of waste gas has drawn frequent media attention, particularly with the Bakken shale oil field. Generating power from the stranded gas would deflect the growing criticism, lawsuits, and regulation that the industry faces. 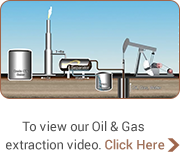 Merlin’s solutions for the Colorado oil and gas field operators allow them to monetize stranded gas reserves by efficiently converting them to electricity. The SOFC generated power benefits the local utility with a low-carbon, NOx- and SOx-free source. Solar generation provides additional benefits to the utility as a renewable source. Historical issues due to intermittent generation are solved with Merlin’s battery monitoring and power management. The ability of Merlin’s customers to profitably develop an abandoned resource with leading-edge technologies has implications for oil field operations everywhere.